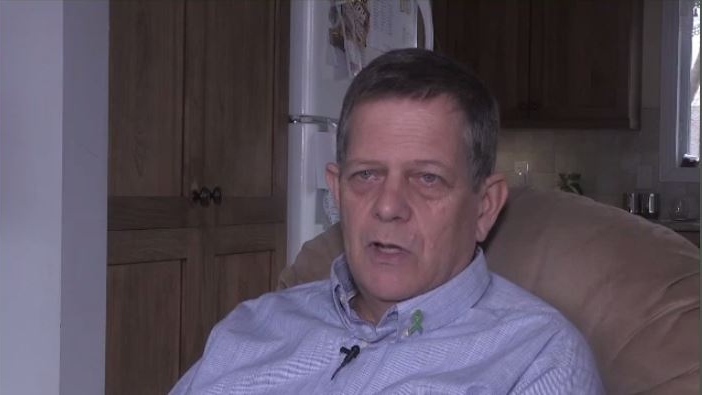 After Nova Scotia passed legislation that presumes consent for organ donation, a New Brunswick man is calling on his province to do the same. Dan McLaughlin spends 14 hours a day on dialysis and has been waiting for a kidney for three years. He says one-third of kidney patients will die while on the waiting list. “The survival rate on dialysis in 10 years is only about 10 per cent, whereas the survival rate with a kidney is over 70 per cent, so those are statistics that I don’t always enjoy thinking about,” he says. He says more than 100 calls came in, but he’s still looking for a perfect match. McLaughlin believes he might have already received a new kidney if New Brunswick had opt-out organ donation legislation. “The opt-out system could potentially increase organ donation rates by 20 to 30 per cent,” he says. Last week, the Nova Scotia legislature unanimously passed legislation that presumes consent for organ donation, making it the first jurisdiction in North America to do so. Under the act, all adults in Nova Scotia would be considered potential organ donors, unless they opt out. McLaughlin says he called on the New Brunswick government to adopt similar legislation, even before it was announced in Nova Scotia. “Ironically, I approached our province in early March; sent an email to our finance minister, suggesting an opt-out system might be good for this province,” says McLaughlin. With roughly 140 people waiting on organ donations in New Brunswick, McLaughlin says he tried taking a monetary approach. “Kidney transplant and a lifetime of medication costs about the same as one year of dialysis,” he says. While the legislation has passed in Nova Scotia, the act is not expected to be proclaimed as law for a period of 12 to 18 months to allow time for planning, public education and training for health-care workers. Kidney patient Dan McLaughlin is calling on the New Brunswick government to adopt opt-out organ donation legislation. 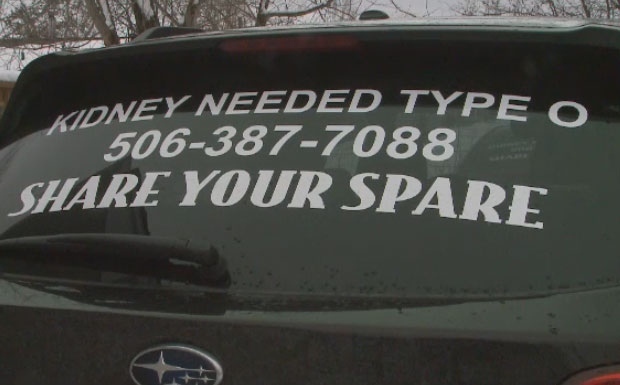 Riverview native Dan McLaughlin has placed decals on the back of his family vehicles to search for a kidney donor.